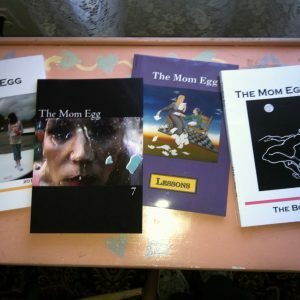 You, the contributor (“you”) represent that the submitted work is your original work, that it has not been published before, that you own the rights to the work and that Mom Egg Review (“MER”) may publish the work in the Mom Egg Review print journal. You grant MER non-exclusive worldwide right to publish the work in the journal, on www.momeggreview.com (“the website”) and MER’s other online organs, and to distribute all or a portion of the work in any language worldwide. You grant MER the right to use your name and likeness and information about you in print and on the website in connection with the work, and to use the work, or portion thereof and your name and likeness in promotional materials and compilations. You give MER the right to edit the work for publication, subject to your agreement to the edits. If your work has not been published before, you grant MER the first right to publish the work in any medium. You agree not to publish or permit others to publish the work prior to its initial publication by MER. If the work has been published before (solicited pieces only), you warrant that you have the rights to publish the work. You agree to inform MER of the details of prior publication so that we can credit the first publisher of the work. After the work is published by MER, you may publish the work however you wish, but any publication should credit Mom Egg Review as an earlier place of publication, and if it is published online, should contain a link to the original publication on www.momeggreview.com. You represent and warrant that you have the right to grant these rights; that the work is original, that it does not knowingly contain any untrue statements, invade any right of privacy, or infringe upon any statutory or common law copyright or otherwise violate the rights of any third party, and that any statements asserted as fact are true or based on reasonable research for accuracy. You agree to cooperate in the legal defense of any action brought against MER or its editors from publication of the work, and to indemnify MER for damages, costs and attorneys’ fees related to such action. 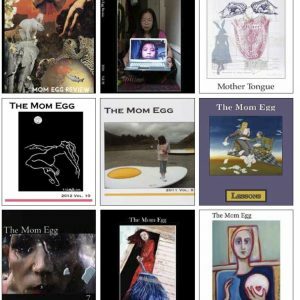 MER reserves the right to remove from the journal or www.momeggreview.com any works that violate its publishing standards. In exchange for the rights granted MER herein, MER will publish your work in its journal and will provide you with a pdf copy of the journal; MER will also publicize your work online at www.momeggreview.com, in social media and among its community of readers. Has the work been published before? (If yes, please fill in publisher info. Note: We generally publish work that has not been published before).